Fears are a tricky thing. We all have them but facing and conquering them are the hardest part. I’ve come to the realization that for far too long I allowed my fears to mix in with my anxieties. Let me explain anxiety has been a part of my life for quite some time now and it is what it is. It shows up when it wants to and I do my best to navigate my way through it. 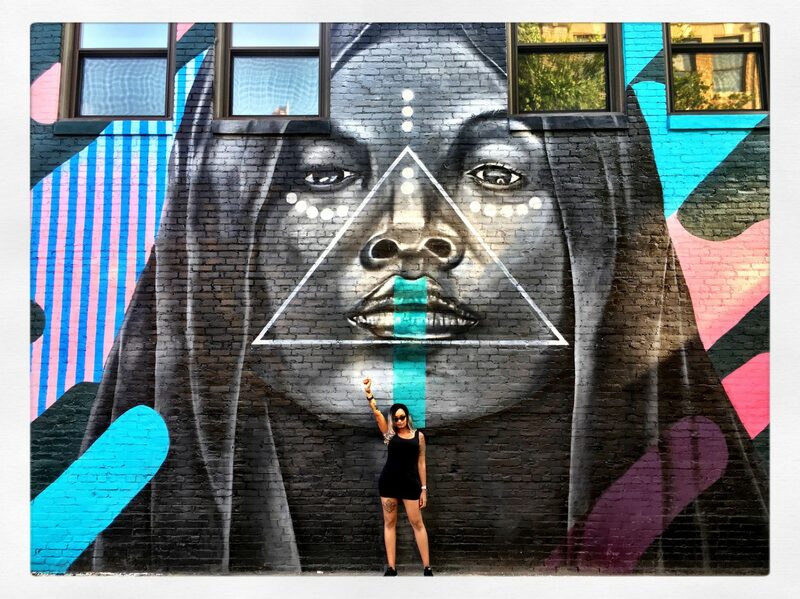 Now fear…fear is different you can’t just navigate you’re way through it. You have to identify what it is, face it, make a plan, and conquer it! Anyone who knows me like really knows me knows that once I put my mind to something I make a plan and I accomplish it. This time was different I wanted to do something that wasn’t just for me, something that wasn’t just about me. I wanted to become a Spinning Instructor. Sounds simple right? Wrong! LoL. This was something I felt deeply connected to. 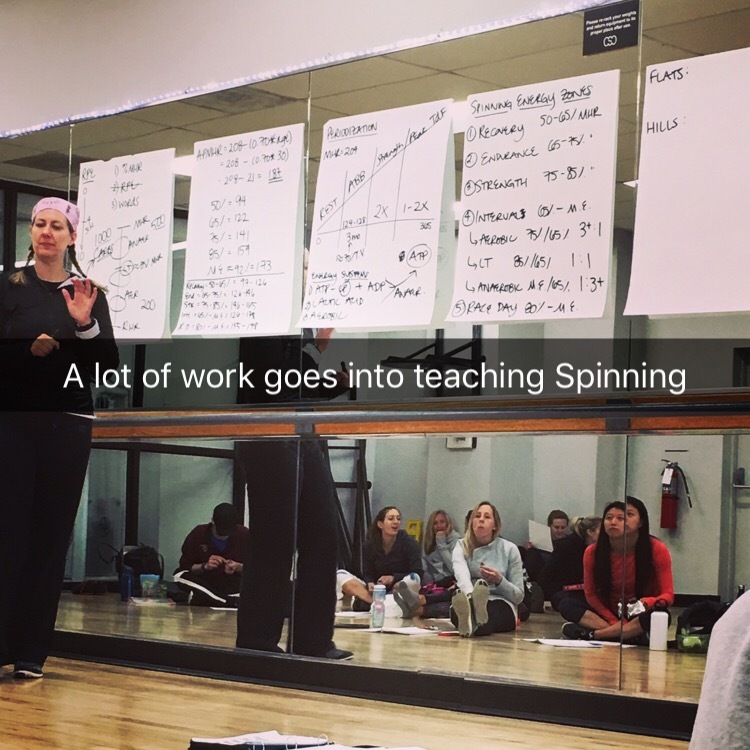 Spinning had become an important part of my life so I was serious about not only accomplishing this goal but truly being good at it and making a difference in the lives of others as well. 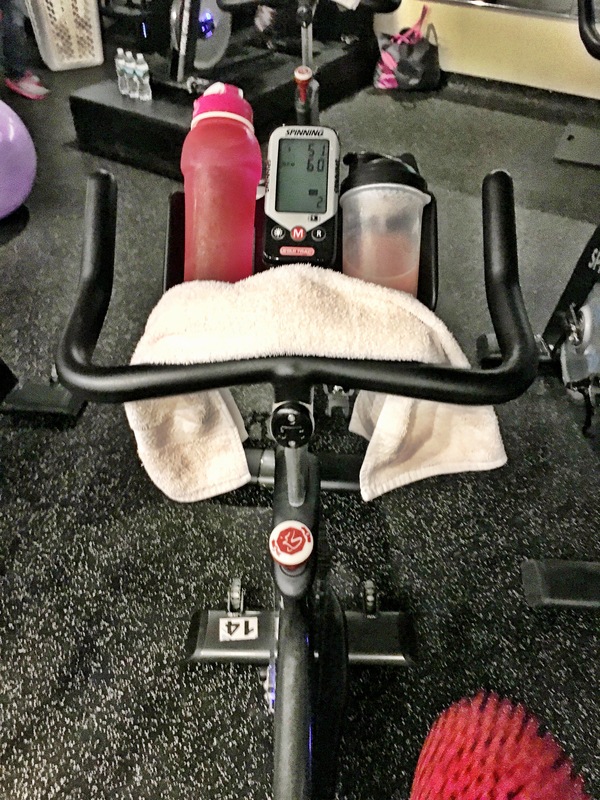 On my worst days if nothing else I knew I could go to Spinning class and that would give me the push I needed to get through my day or the push I needed to move past it. The darkness, the glowing lights, the motivation from the instructor, the music it was an hour of liberation. I had come to love that experience so much I wanted to be someone to give that to others. But sometimes trying new things can be intimidating, it can make you fearful. I had a decision to make. Let my dreams die or face my fears. I chose the latter. 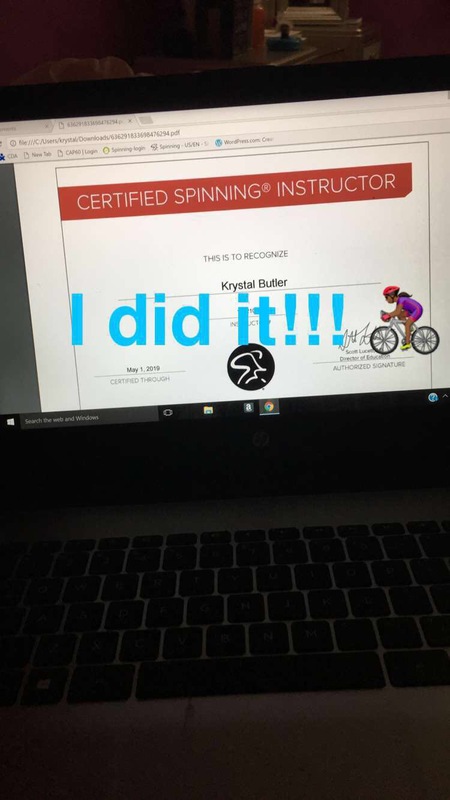 So I talked to my Spin instructors, I looked up how to get certified and signed up! And I’m so glad I did it! The experience itself was awesome. Now I’m not going to lie it was A LOT of information to digest but with time and experience I know it will be like second nature. The point is I pushed past my fear and anxiety to accomplish a goal that is important to me. I stopped giving up for fear of rejection or failure. We only have one life to live so we may as well give it our all. I may not accomplish ever goal I set for myself but from now on I’m going to give it my best shot. I plan on pushing past my fears and I hope you do too!